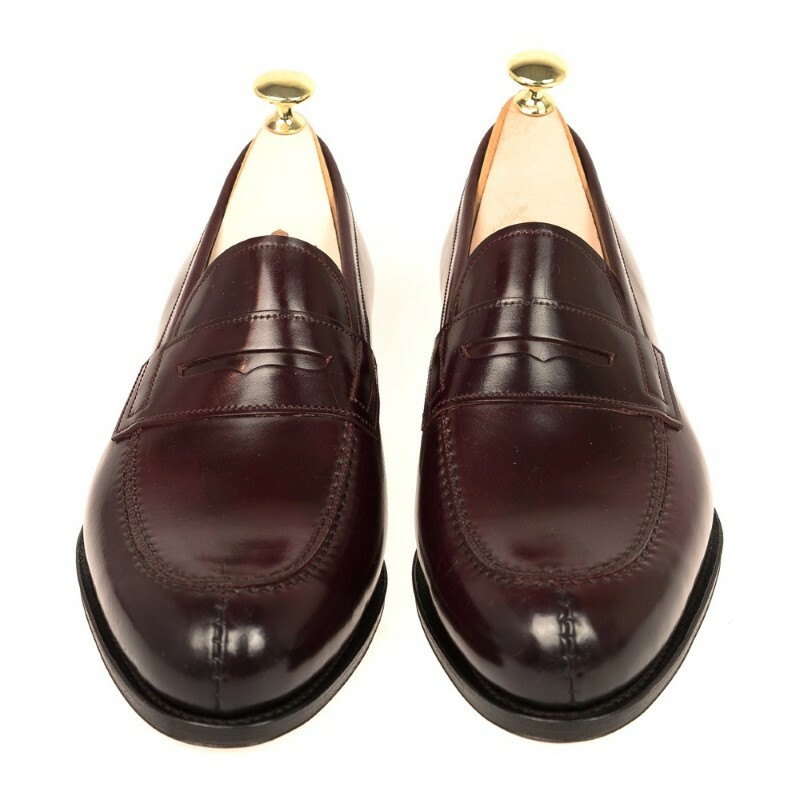 Our traditional Carmina's loafers with penny strap in burgundy Horween Shell Cordovan. Finished with a bark-tanned leather sole from Rendenbach Jr. Goodyear welt construction makes for a solid, durable, and comfortable shoe. Also features leather lining. 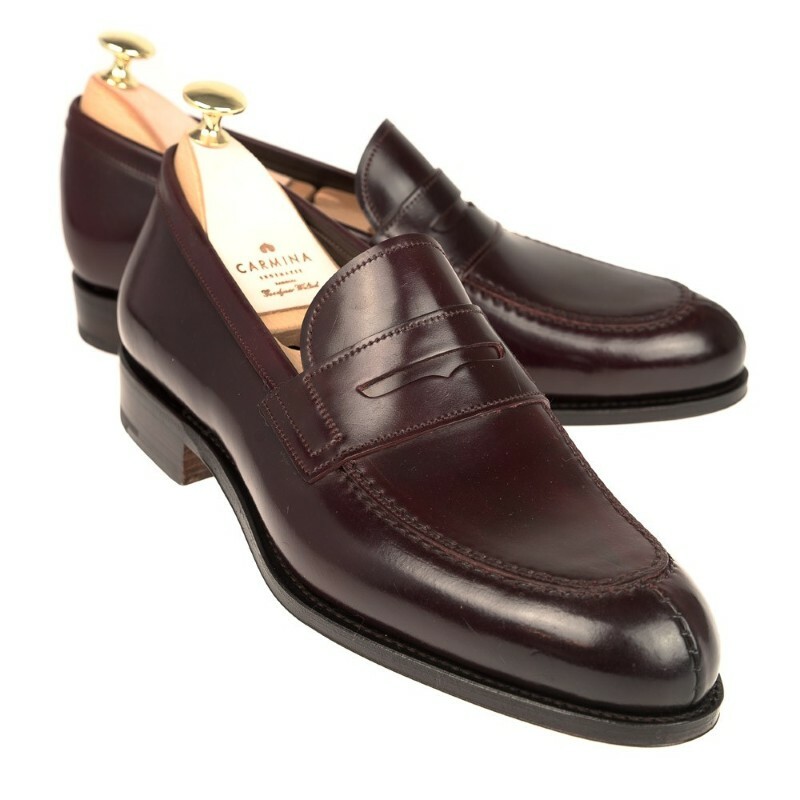 This shoe like all the other Carmina´s is carefully manufactured by expert craftsmen who follow the exact same texhniques that Charles Goodyear created in 1869. Style made on Forest last one of our oldest lasts. Rounded at the tip smooth fitting with normal instep and generous space at the front. Carmina shoe trees sold separately. Contact us for size availability. Please allow 2-3 business days for Carmina orders to be processed before shipping.